I had recently discovered a fanzine for one of my guitar / musical / poetical heroes and had written a letter to England requesting a subscription to the quarterly fanzine put together by Darren Crisp and Dave (? ), sorry forget Dave’s last name, but it doesn’t matter anyhow. What did matter, was that Darren was surprised to get a request from ‘across the pond’ for his fanzine of one, Mr. Roy Harper. I was very enthusiastic to have found a resource to read and know more about this fascinating figure in the english music scene who had recorded, played and was friends with some of my other musical heroes. To even know that there were other people interested in him, as trying to convince friends here in America that they should listen to Roy’s music wasn’t getting me anywhere, was so exciting to discover! People who also shared a fondness for his music and lyrics, point of view, etc. was so enthralling! Now keep in mind, this was in a time before the internet made everything accessible to everyone at any time, so it was a big deal for me to have made this discovery and share my experiences with other like-minded people. All via a printed fanzine arriving in my letter box, not ‘inbox’ mind you. Or a letter arriving from England from Darren keeping me up-to-date on Roy’s tours, recordings, etc was very exciting at the time and I’m saddened that many younger people will never experience this as the days of ‘snail mail’ are gone for the most part. Upon arriving into London, I made the train ride up to Manchester and checked into a cheap hotel in the city. I was jet-lagged and tired, but so excited that on my 22nd Birthday, I would be witnessing somebody I had looked up to for a long time. I used to walk to walk into record stores and go straight to the ‘H’ for Harper section to look for new treasures waiting to be collected by myself. And as I sat there in the Manchester hotel, I remember drinking a cup of Earl Grey tea and thinking how different it tasted, how different the smells and sounds were outside when I walked out the door, how so differently the people spoke english, experiencing so many new things. Although I had travelled to Europe and England before, this time was different, my senses were alive and waiting for what they were about to experience here on this trip. In anticipation for that night’s concert, I walked around the city taking photographs… just trying to calm my nerves. In the afternoon that day, I went back to the hotel and took a brief nap, but could hardly sleep. When it was time to head over to the Free Trade Hall and meet Darren in the foyer, I nervously made my way. It was about a 20-minute walk from the hotel and I had scouted it out earlier that day so as not to be lost when trying to find it. It was a brick building with what seemed like, many windows on the front doors. When I arrived, my heart was racing… I saw one of the doors was halfway open and there were lights on inside. It was a colder, grey day, so the lights inside were inviting. I saw an older gentleman who was a security guard of some sort and I approached him and told him that I was here to meet with Darren Crisp. He replied with, “Darren? Darren who?”. “Darren with Roy Harper.” I replied. “Oh right, Roy Harper. Come in.” He led me into a long foyer where I saw two people setting up merchandise for the show that night. Having never met Darren, I didn’t know who to look for, but I just went over and asked him if he indeed was Darren Crisp, Roy’s manager. He was and we shook hands and made introductions. He was with his girlfriend, Erica, who later became his wife and mother of two lovely daughters, but that’s another story altogether. I knew Darren & Erica were busy, so I just hung out and watched them setup t-shirts and other merchandise when suddenly I heard the strumming of a guitar beyond the closed doors in the concert hall. Wow, my ears had just heard Roy playing his guitar for the first time in person! I listened intently, not trying to draw any attention to myself to the others. When I heard the opening chords to ‘Short and Sweet’, a song which Roy had co-written with David Gilmour of Pink Floyd, I was in awe. I think Darren saw my excitement and suggested I step into the Hall to see the soundcheck. I was hesitant to do so, but I drug my feet and slowly opened the door and quickly made my way to a seat in the middle of the Hall, not far from the sound mixing table, of which I saw Jacqui, Roy’s wife at the time, behind the controls. I sat there, the only one in the Hall along with a few others witnessing Roy soundcheck. 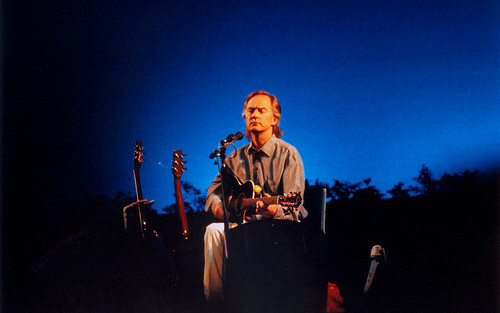 At that time, his album ‘Once’ had been released, so I got to hear some of those songs being run through by Roy on stage. A long way from home, sitting there in the audience, listening to Roy for the first time ever live… a memory I’ll never ever forget. As he finished, he stepped down and walked up the middle of the Hall, almost exactly towards where I was sitting. I waved hello and Roy waved and sat down in a seat in my aisle, but just a few seats over, in front of the mixing desk. I was trying to respect Roy and not approach him, but I had brought a photograph with me that was inspired by his music that I wanted to give to him (This later was used on early versions of Roy’s web site). And I had also brought along one of my favorite album covers, ‘Bullinamingvase’ for him to sign. Slowly, I made my way over to him… slightly trembling and short of breathe from being so nervous… and said hello and sat down next to him. Jacqui quickly came over to mention that Roy wouldn’t be talking much as he was saving his voice for the show tonight. I confirmed that I wouldn’t make Roy talk much and suggested that I do most of the talking. I presented my photograph to him and explained how it was inspired by his music. He wanted to know, asking in a whisper, where I was from as he probably noticed my american accent and I told him. I also asked if he wouldn’t mind signing my album cover. He whispered a yes to signing it and I pulled it out. As he was signing, I noticed his white scarf around his neck and had remembered seeing a similar one on another one of my guitar heroes, one Mr. Jimmy Page. Well, Roy was sort of shocked and asked me why I had asked him that. I told him that Jimmy has a similar one and he confirmed that it was, in fact, given to him by Jimmy. I felt awkward having asked that and just quickly informed him of my plans for the week, which included seeing him in London and Milton Keynes (Where Roy dedicated ’12 Hours of Sunset’ to myself… another special moment for me) later in the week. We shook hands and I exited the Hall and re-approached Darren & Erica who were almost through with setting up the merchandise stand. I still had a few hours before the show would start and told everybody I’d be back later after getting a bite to eat. I returned later with my ticket for the show given to me by Darren earlier and took my seat. As the lights dimmed and the intro to the song ‘Once’ Queued up and was running, I realized I was witnessing my first of a long series of concerts given by Roy Harper. A very special night for sure and I can’t thank Darren, Erica, Jacqui, Tony, Nick and Tracy enough for having invited me in to witness and ‘spoke the wheel’ for me writing songs of my own and just showing me a glimpse into the life of a very special creative talent. Thanks so much to all of you! 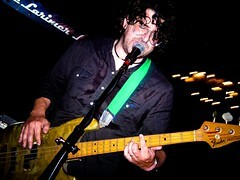 An image of Roy from the show that night. November 19, 1990 in Manchester, England. I came across these Effectology by Bill Rupert video series on EHX.com, the official Electro Harmonix guitar pedal builder web site from New York city. Check this rendition of Pink Floyd’s ‘Welcome to the Machine’… all created with guitar and effects! Incredible stuff! Jeff Beck recently chatted with Guitar Center about the Yardbirds and knowing Jimmy Page and Eric Clapton. Lou was also kind enough to sign my guitar… thanks Lou! For those of you who know me, this post won’t come as much a surprise, but for those of you who don’t, well… let’s just say I have a mild fondness for the electric guitar and one of my all-time favorite guitar heroes would have to be Jimmy Page of Led Zeppelin. So on this January 9th, 2010, I would like to wish Jimmy a very happy and special 66th birthday celebration. Having recently appeared in the film, ‘It Might Get Loud‘ (which I blogged about earlier, just click the link to the left) it has rekindled the interest and desire to have a tour which includes Jimmy. It doesn’t matter which form or shape it takes. It could be with or without Robert Plant and John Paul Jones, but at least some live music from Jimmy to satisfy the fans, including myself. Of course, I could think of no better way to celebrate, than by posting some of the magnificient photographs of Ross Halfin. Without further adieux, here are some of my favorite images Ross has taken. Be sure to check out Ross Halfin’s web site for more spectacular imagery! Well, it looks as though the Led Zeppelin reunion tour won’t be taking place after all. As reported on the John Paul Jones web site on August 10th, 2009 he’s joined a new supergroup called, ‘Them Crooked Vultures‘. The new group features Josh Homme of Queens of the Stone Age, former Nirvana drummer and current Foo Fighters leader Dave Grohl and no other than the legendary John Paul Jones of Led Zeppelin. According to the official Them Crooked Vultures web site, they are slated to hit the road in October already. October 1st, they’ll be in Austin, Texas at Stubb’s and then they’ll be at the Austin City Limits Festival on the 2nd. Those of you who are familiar with PBS television will probably be aware of this excellent musical showcase program and hopefully there will be a broadcast of the event and performance of the band sometime in the near future. Check more Them Crooked Vultures tour dates to see if they are coming to your town. It looks as though the web site allows you to participate in a forum, purchase an official t-shirt, sign-up for a mailing list and also explore a Google Earth feature that I’m still trying to figure out. I installed the plug-in, but I just get zoomed into an unknown location in France I think and can’t navigate out of it? There seems to be a lot going on in this realm at the moment and I expect more to follow soon. The teaser video sounds great! Song is called, “Scumbag Blues”. No images of the guys in the band, all visuals of vultures walking around in a very graphical layout. Quite engaging! Pretty interesting sounds, but it probably puts the Led Zeppelin reunion tour rumors to rest, which is unfortunate. 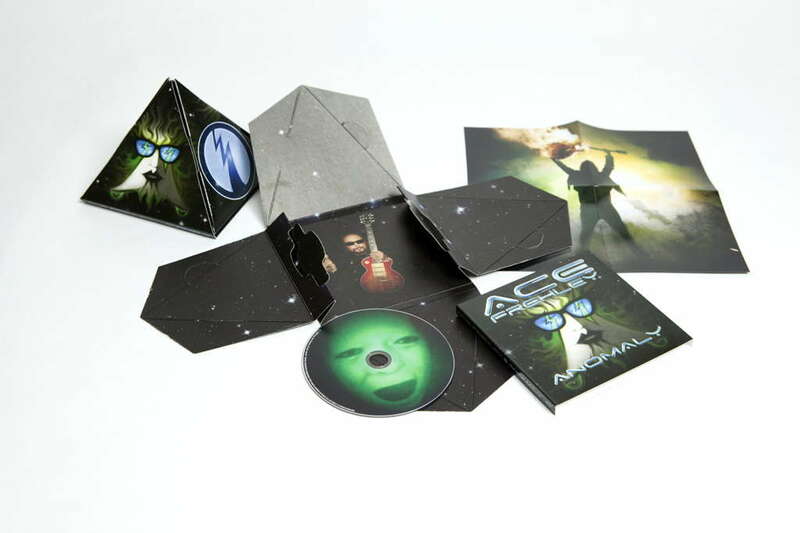 Ace Frehley New Album / CD To Be Released Soon! Hello again! I posted about Ace’s arrival to the world wide web back in April of this year in a post entitled, ‘Ace Frehley finally has an Official Web Site!!!‘. And now the time has come to mention that his newly recorded album is slated for release in just under two weeks! That’s right earthlings… the Aceman has been hard at work preparing us for his latest endeavor. September 15th, 2009 is the date the new recording hits the streets! Pretty cool stuff for collectors as there is 3 different packaging options. One for Walmart, one for Best Buy, & one that’s just standard, but they are all pretty nice. Take a look for yourself! Nice job by the graphic design team, I must say. 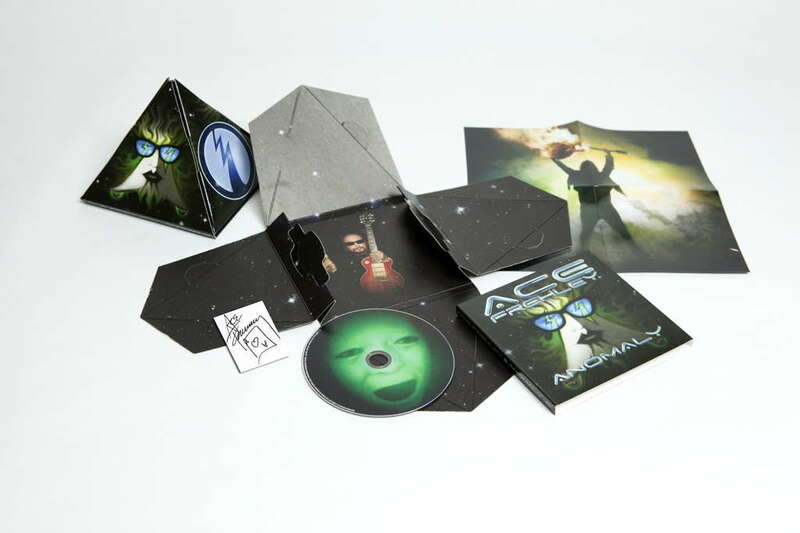 The Walmart packaging of Ace’s CD contains an Ace autographed tattoo! The above Best Buy layout is printed on silver stock, like the Double Platinum Album from Kiss! 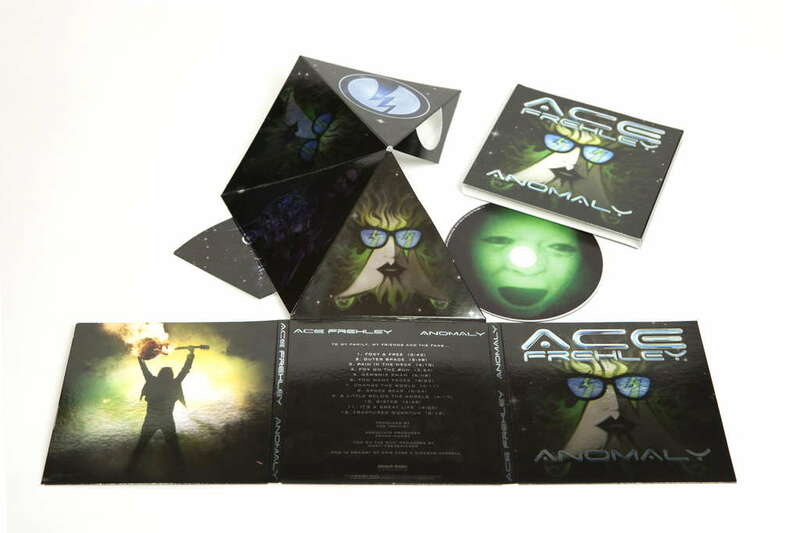 Anomaly from Ace Frehley is also available on iTunes! That’s right… you won’t get any of the fancy packaging pictured above, but at least you’ll have the latest from one of the most influential guitarists of our time. Ace Frehlely Anomaly on iTunes. Go out there and support our spaceman who has so kindly graced us with his presence on September 15th with his first album in over 20 years! And be sure to check out his web site as well: the official Ace Frehley web site. Led Zeppelin’s Jimmy Page, U2′s The Edge and the White Stripes’ Jack White together in a new film! So call me dense or whatever you wanna call it, but this just slipped past me. I never even knew this was in the works, but once again, my following of the Ross Halfin web site uncovered this new film which is coming out soon. In Ross’ diary entry marked June 19th, he’s in Los Angeles with Jimmy for the premier! The film is apparently about the history of the electric guitar as seen from the point of view of three significant musicians. The first being Jimmy Page of Led Zeppelin fame, the second being the Edge from U2 and last, but not least, Jack White of the White Stripes. From the looks of the trailer, it looks like the film revolves around each individual guitarists personal style and approach to the guitar. From the looks of it, Headley Grange is visited by Jimmy and for those of you who are Zeppelin fans, you’ll of course know that the band recorded numerous time there and is especially noted as being responsible for the huge drum sound in ‘When the Levee Breaks’. Other notable bands also recorded or rehearsed at Headley Grange in East Hampshire, England. The song, ‘Black Dog’ by Led Zeppelin was named after a black Labrador Retriever which was found hanging around the during recording of their fourth album in the early 1970′s. It looks like the film is scheduled for limited release in New York and Los Angeles on August 14th, 2009. There are some still shots viewable as a slide show at IMDB.com and here’s the trailer in HD below. I will try to post more info here as it becomes available, until then, enjoy!